Last week’s economic reports included remarks by Federal Reserve Chair Jerome Powell, readings on inflation and core inflation. Weekly readings on mortgage rates and first-tome jobless claims were also released. If the government shutdown continues, it is expected to impact release dates for readings from federal government agencies. Faltering financial markets and slower rates of home price growth caused the Fed to dial back it’s bullish outlook and instead emphasize that Fed monetary policy is flexible and could be adjusted quickly adjusted as changing economic conditions merit. Freddie Mac reported lower average mortgage rates for 30-year fixed rate mortgages fell six basis points to 4.45 percent; rates for 15-year fixed rate mortgages fell 10 basis points to 3.89 percent. The average rate for 5/1 adjustable rate e mortgages was 15 basis points lower at 3.85 percent Discount rates averaged 0.50 percent for 30-year fixed rate mortgages, points for 15-year fixed rate mortgages averaged 0.40 percent and discount points for 5/1 adjustable rate mortgages averaged 0.30 percent. First-time jobless claims fell by 15,000 claims to 216,000 new claims filed. Analysts expected 227,000 new claims based on the prior week’s reading of 231,000 new claims filed. December’s Consumer Price Index was – 0.10 percent lower than for November, which matched expectations based on November’s positive inflation rate reading of + 0.10 percent. Slowing inflation could indicate slower economic growth; a consistent pattern of sluggish inflation may cause the Fed to hold steady on raising its key interest rate. 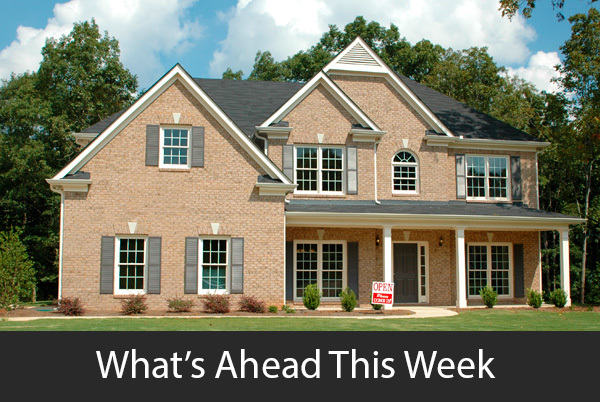 This week’s scheduled economic news includes readings on the National Association of Homebuilders Housing Market Index, Commerce Department readings on housing starts and building permits issued. The Consumer Sentiment Index is also scheduled for release. Weekly readings on mortgage rates and initial jobless claims will be released on schedule.